the hotel and all over inside staff , food , services and more was really excellent . We really thanks all of them . Location is a very good one. Location was great and it is one of the main reasons why i chose the hotel. I loved the terrace. The guy who working at night shift was helpful and nice. 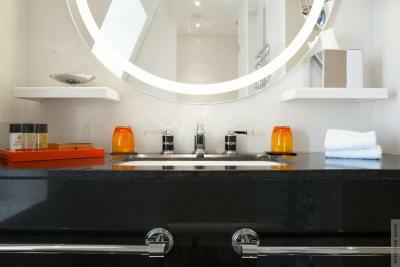 Great location, on the fashion street of Montaigne, close to Eiffel tower, Champs-Élysées Avenue etc. Location is just about it. 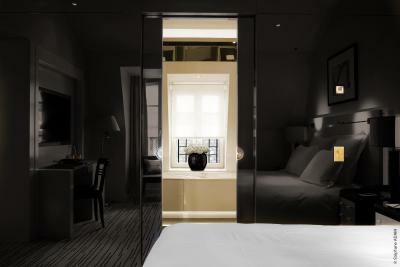 It’s directly in front of Plaza Athenee. One of our best sellers in Paris! 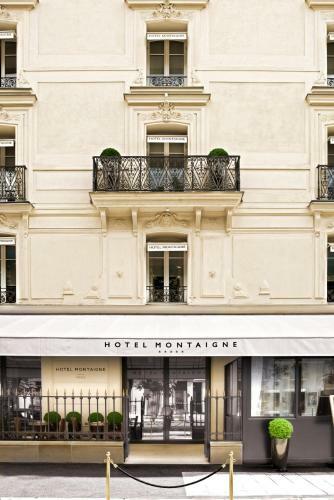 Hotel Montaigne is located 1,950 feet from Champs Elysées and 2,150 feet from Grand Palais in Paris’ 8th district. This boutique hotel offers air conditioning and free Wi-Fi internet access. 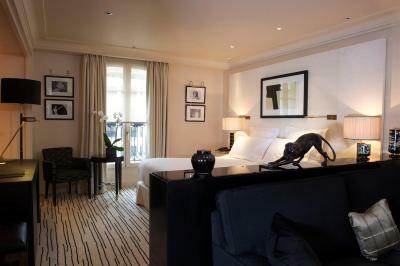 A flat-screen TV with satellite channels are provided in the guest rooms at Hotel Montaigne. 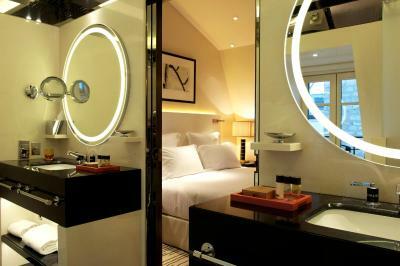 Each room also includes a mini-bar and a private bathroom with bathrobes and slippers. 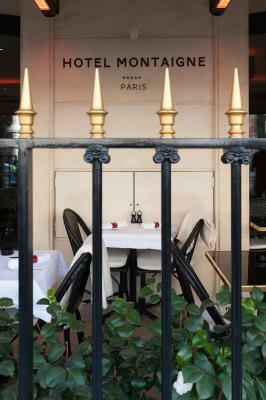 Traditional French meals can be sampled in the hotel’s on-site restaurant and breakfast is available daily. Drinks are served in the bar which opens up to a patio. 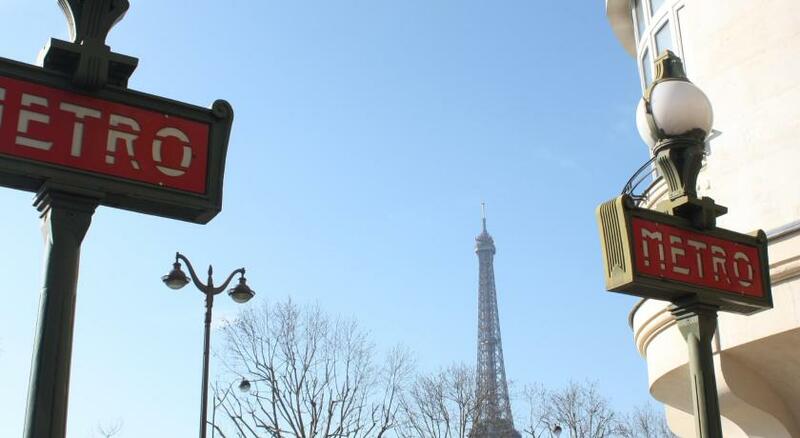 Public parking is available 350 feet from the hotel and Alma-Marceau Metro Station is 1,000 feet away. 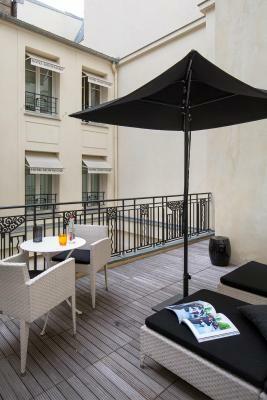 The property is 15 minutes’ walk from the Eiffel Tower and 0.9 mi from the Arc de Triomphe. 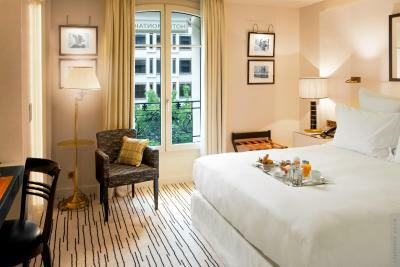 When would you like to stay at Hotel Montaigne? 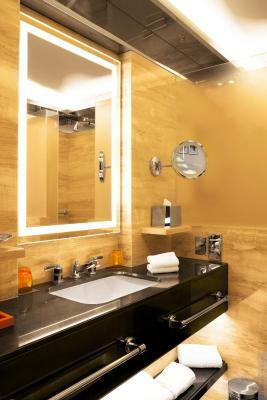 The air-conditioned rooms have an iPod docking station, a minibar and a flat-screen TV with satellite channels. 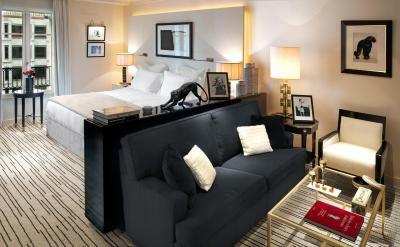 The air-conditioned rooms include an iPod docking station, a minibar and a flat-screen TV with satellite channels. Extras include a lounge area. 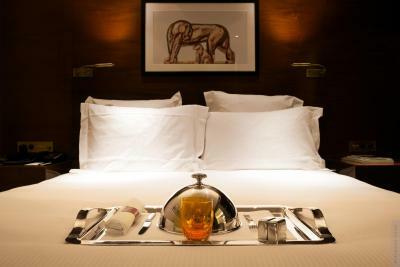 With views of Avenue Montagne, this suite has a living room and a coffee machine. 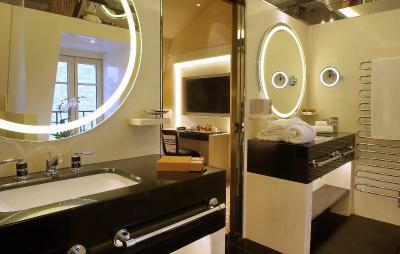 This double room has a bathrobe, a minibar and an iPod docking station. 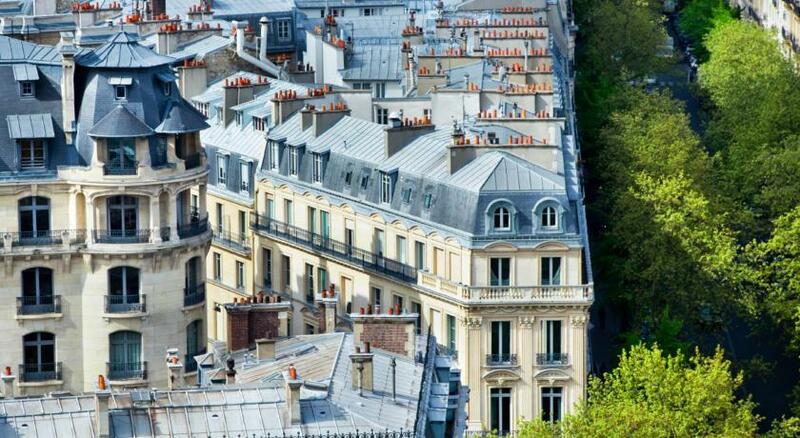 Extras include a view of Avenue Montaigne. This double room features a satellite TV, bathrobe and soundproofing. 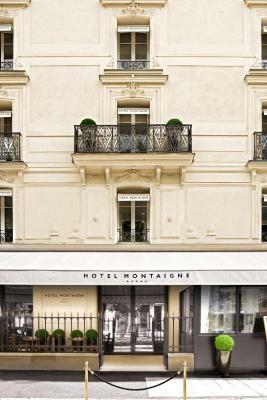 House Rules Hotel Montaigne takes special requests – add in the next step! All children under 6 years are charged EUR 100 per night for extra beds. 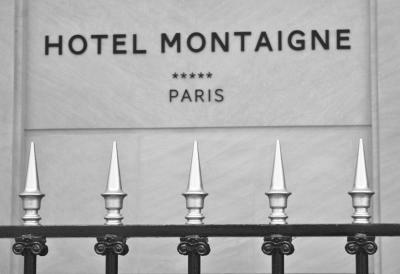 Hotel Montaigne accepts these cards and reserves the right to temporarily hold an amount prior to arrival. When booking more than 4 rooms, different policies and rates may apply. The toilets and the shower were basically right next to each other with no divider making it impossible to use the toilet without getting wet. A/C at the room was tough to manage . (We had to wake up in the middle of the night because it went to 27.5 degrees. We couldn’t get it down . Also we had an issue Sunday morning when the building alarm went on and we had to get down 9:25 in the morning to tell us it’s was false alarm. They charged me extras for a breakfast included with the room! Cleanliness of the room - forgotten items from previous occupant. Quality of the breakfast - Quite a sad spread by the time we got there. Staff not ready or well trained to serve breakfast. Not worth the 30 euros. No shower (apart from handheld over bath). A little pricey.